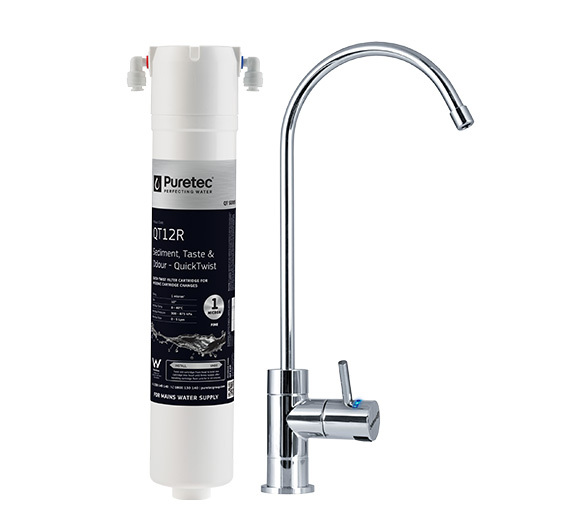 The Puretec QT18 system uses premium grade carbon filtration. 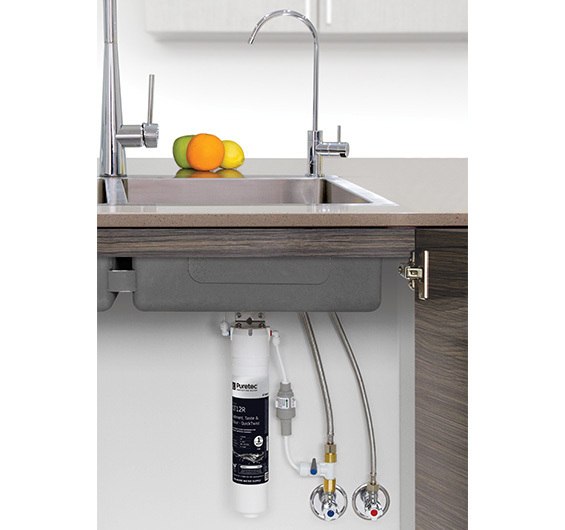 Enjoy water the way it should be, abundant, clear and beautiful tasting from your own water supply, any time of the day. 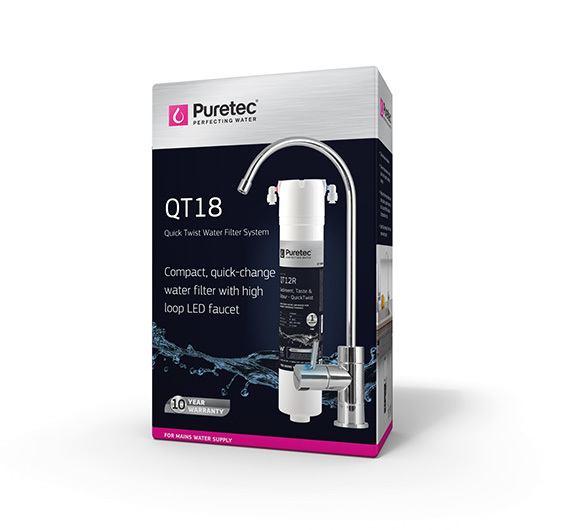 The QT18 can also be used for ice machines, water coolers, refrigerators with ice makers, inline drinking water kits, coffee/vending machines etc. • Premium ceramic high loop faucet with LED reminder light. • Multifunction control valve included for pressure reduction, antiwater hammer and dual check manufactured from chrome plated brass for reliability.